A wonderful color palette comprised of distinct yet neutral coloration's. SOLD BY BOX OF 16 SQ FT. The warm beiges and soft golds of Tuscany Casablanca Patterns travertine tiles allow the natural texture and tonal variation to shine through. A wonderful color palette comprised of distinct yet neutral coloration's. 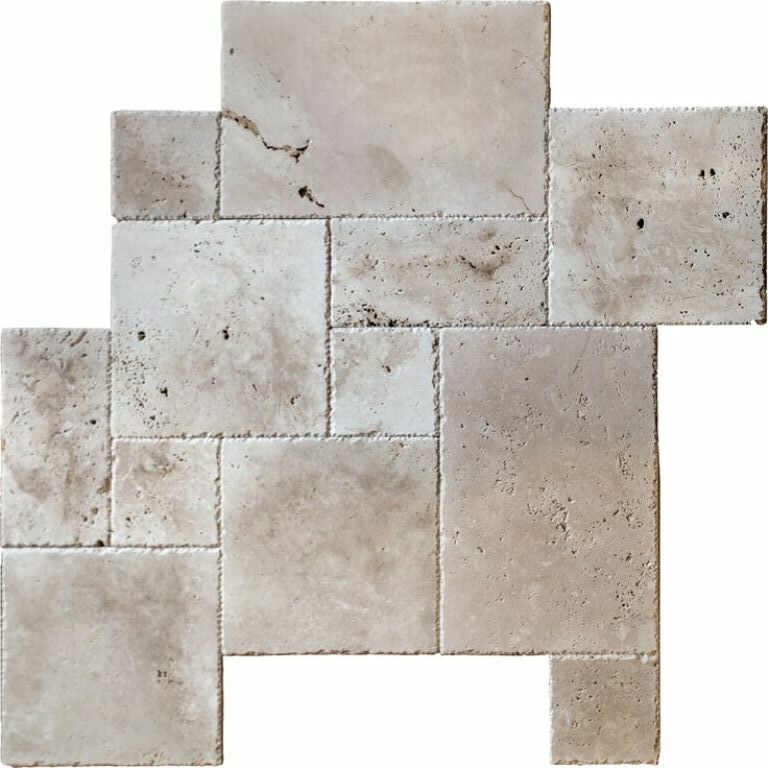 Sold as a complete pattern, these kits are suitable for exterior projects including walkways and patios, as well as interior flooring projects when you desire a continuous flooring option, bringing the outdoors, in.